As we humans grow so our body but after certain age when our body growth limits then any unhealthy life style can result in unhealthy results. Starting having blockages in Coronary Arteries of Heart is one of them. The following chart depicts how the blockage in coronary arteries is correlated with the human age for the people with sedentary life style. Blockages in human heart starts at around age of 15 which, in general, grows at the rate of 10% per year depending up on the life style of an individual. 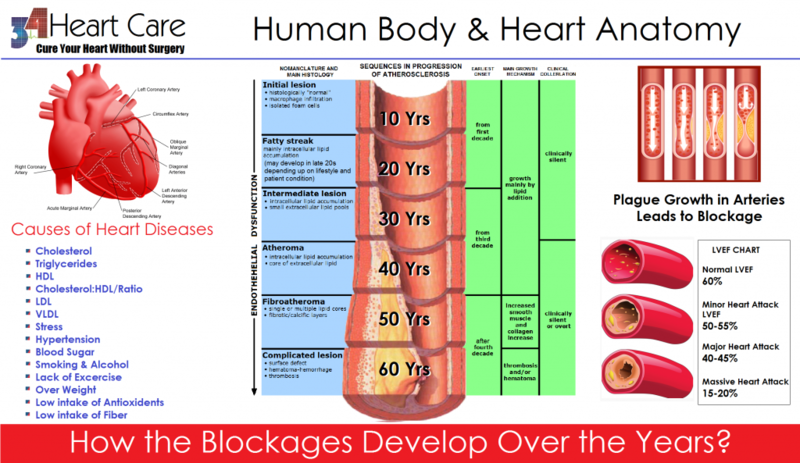 The main causes of blockages is listed below along with the visual demonstration of age and blockage in human heart.